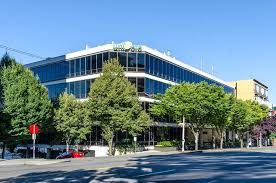 Univera, Inc. was founded in 1988 and currently has an annual avenue of over 3 million. The firm develops and markets science-based nutritional health products worldwide. It offers Xtra, a cell renewal formula to renew and restore cells to function at their optimal levels; Nourish products that feed cells by providing nutrients as the building blocks of health for mental and physical performance; and Restore products that focus on maintenance, prevention, and rejuvenation of cells to prevent degeneration and maintain performance. The company also provides Fortify products to guard against oxidative stress and toxins to support body’s defenses for immune system; Vitalize products that provide support for the metabolism of nutrients at the cellular level for energy production; and personal care and weight management products. In addition, it offers wellness tools, such as yoga mats, water bottles, and pedometers; and caps, notebooks, and briefs.